Is there anything more perfect in this world than a milkshake? Whether you’re sipping on one to cool off after a hot day or to pair with a savory burger, Rhode Island has got you covered! Here are the 10 best places to grab a milkshake in the state! Even those who have only eaten dairy ice cream will become converts to one of Like No Udder’s milkshakes. Enjoy their soft serve blended into delicious coconut milk along with delicious flavors like vanilla, coffee, and pistachio. Enjoy a milkshake the old-fashioned way at Green Line! Make sure to try the coffee milkshake—you’re in Rhode Island, of course! No one makes flavors quite as fresh as Three Sisters! Their Kulfi flavor, which combines cardamom, cinnamon and pistachios, has won awards at RI Food Fights, but flavors like black raspberry and cookies and mint are equally as delectable! With locations across Providence, and now in Lincoln and Newport, Harry’s serves up some of the best burgers in Rhode Island, and also the best milkshakes! Go for one of the boozy milkshakes, or the blueberry pancake flavored one! Newport Creamery calls themselves “good mood food,” and it’s true—whether you’re in a good mood upon entering the creamery or not, you’ll certainly leave in one! Milkshakes here are called “Awful Awfuls,” and they come in flavors like chocolate mint, cotton candy, Choc O’ Nutter and banana chip. Not too sweet, but always thick and creamy—that’s the way that Meg’s serves up their milkshakes. Grab one to accompany your meat pie or brunch selection. Another great place for burgers and shakes, Brick Alley has been serving up their classic food for over three decades. You’ll notice Brick Alley right away from their signature yellow awnings out front. We don’t know who started the burgers and shakes trend, but Rhode Island seems to have perfected it. With fast and friendly service, enjoy the creamy shakes at Stanley’s. You’ll want to grab some fries to dip into your shake, too—but don’t worry, a small order of fries could nearly feed a family of four. 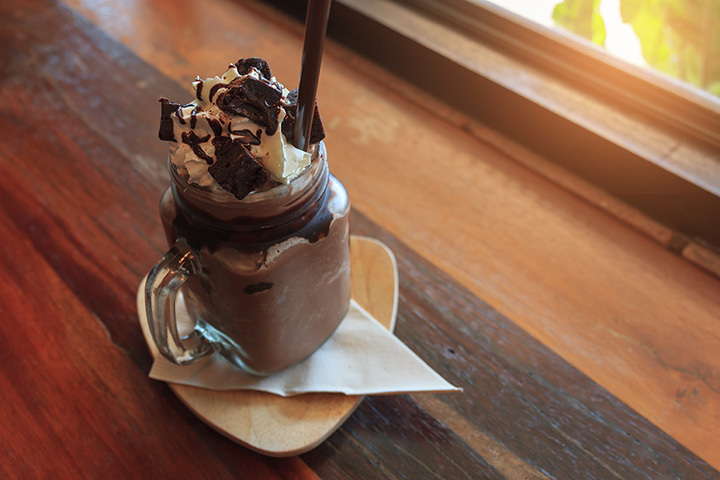 End your day at the beach with a milkshake at Nana’s Ice Cream & Gelato. Their ice cream is locally sourced, and they boast over 50 different flavors. You’ll have a hard time choosing what flavor you want, but you’ll be sure to love them all!